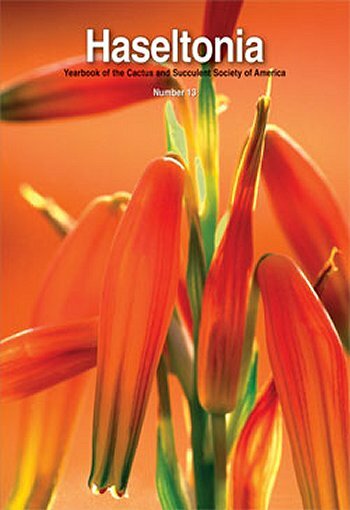 On the cover: As enthusiasm for the genus grows and as doors open to exploration in new localites, aloes continue to feature prominently in Haseltonia, with four papers and five new taxa introduced in this issue. Aloe humilis, a long-known and widespread South African species popular in collections, has surprising large flowers for such a diminutive plant. They were captured for our cover by photographer Irwin Lightstone.